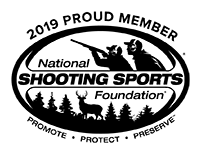 Creedmoor Shooting Jersey, Coat Accessories: Creedmoor Sports Inc. This shooting jersey is made from 100% cotton knit material. 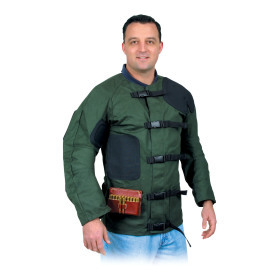 It is the ideal breathing garment to be worn under your shooting coat. 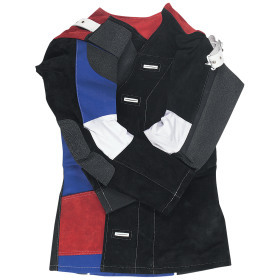 The back of the sleeves are padded up to the shoulder seam giving the rifle shooter extra protection where he needs it. 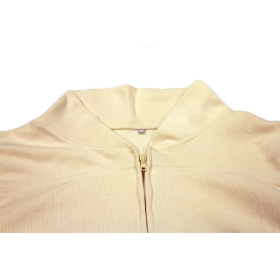 The jersey is pocketless to avoid the material bunching up while in position. 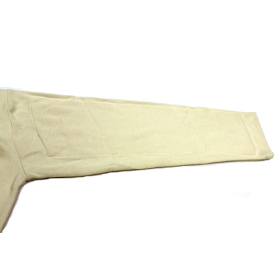 It can be partially unzipped from the bottom for sling positions. ISU legal. Note: The zipper pull is on the left side. I've had mine since i first started HP in '97, i do wear it almost every match. one suggestion i would make, though, something i did to mine. have some kind of option to cut out or us thinner material on the inside of the elbows. mine was binding me up a bit at that point. i cut out about 4", there and restitched it so it would stay together. it helps me to pull in just a bit tighter, i would still give it at least 4.5 stars. Owner Response: Thanks for the review Ben! 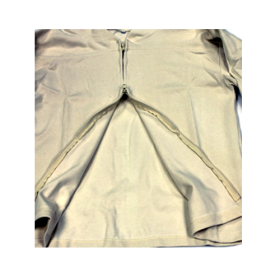 We cut the inside bend of the arm out on our personal jerseys also. Unfortunately we can't sell them that way because people have differently shaped arms. 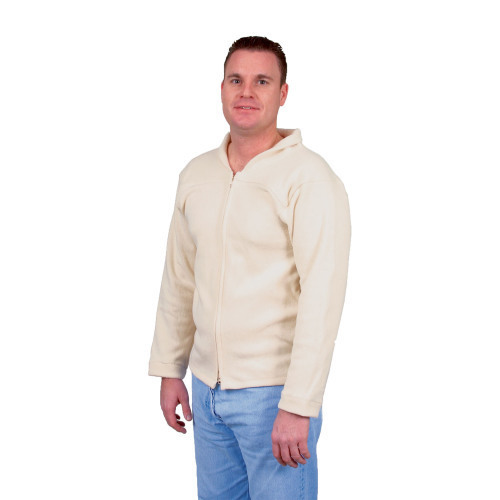 The Creedmoor Sweater is much thinner and typically doesn't need any mods. I'm a very satisfied customre. This is a great item and just what I needed. The fit was perfect! Darker colors would be great. Also a right hand zipper would be nice. My zipper came apart in the drier. Found some of the parts but lower zipper parts that you grab on to are missing . The top zipper still works. So now I hang it outside to dry. I use it for every match. Even in the Summer. Very comfortable love the elbow padding. Owner Response: Dean, Thank you for taking the time to review our jersey. If the zipper came apart, we want to know about it. Please contact our customer service department about getting it repaired. It may be something that we can have you send the jersey back in for repair rather easily. I really like the jersey. 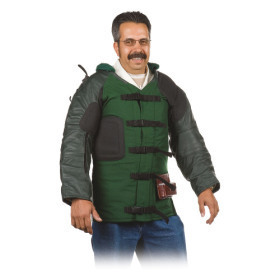 The padded sleeves protects my arms and elbows. The only negative I have is the left handed zipper. This is an excellent product. It's comfortable and seems to be of high quality. The zipper is sturdy. The jersey seems to wick sweat away from the body. All in all, an exellent product. I like them so much, I now have three. My adult son is the competitive shooter. I buy Creedmoor products for his use. He is always greatful. Everything I expected from creedmoor. Great product and workmanship. Only complaint is they don't have a care and cleaning tag on the shirt so we know how properly wash and dry the shirt. Owner Response: Thank you for your comments! We're happy you like it! To clean the jersey, wash in cold water and air dry. These are 100% cotton and could shrink a little. Should have bought it years ago. 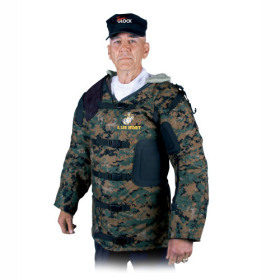 I wish I had purchased this when I bought the shooting coat. Live and learn! It should come in a variety of colors as it is neat just as a stand alone piece of clothing. Great fit. Tried it on under my jacket as soon as it arrived. Fit perfect. Happy it went on sale. Arrived earlier than expected. Well made and of high quality.